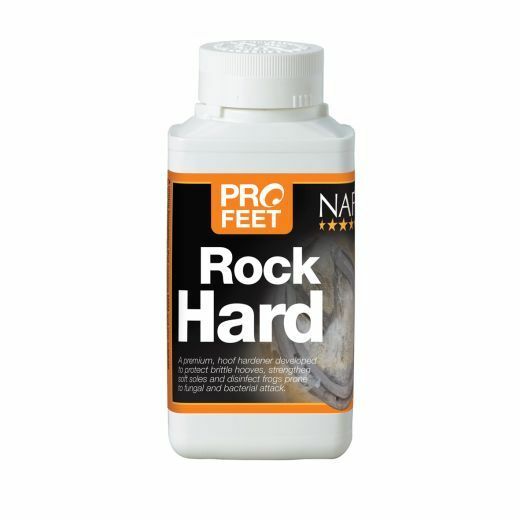 NAF PROFEET Rock Hard is a premium hoof hardener which protects hooves, strengthens soles and disinfects frogs which are prone to bacterial and fungal attack. It is a rich source of bio-available sulphur which provides optimal protection for horse's hooves. For best results apply Rock Hard to the frog and sole with the brush provided daily. Paint around the lower half of the hoof, allowing the fluid to seep into nail holes and splits. 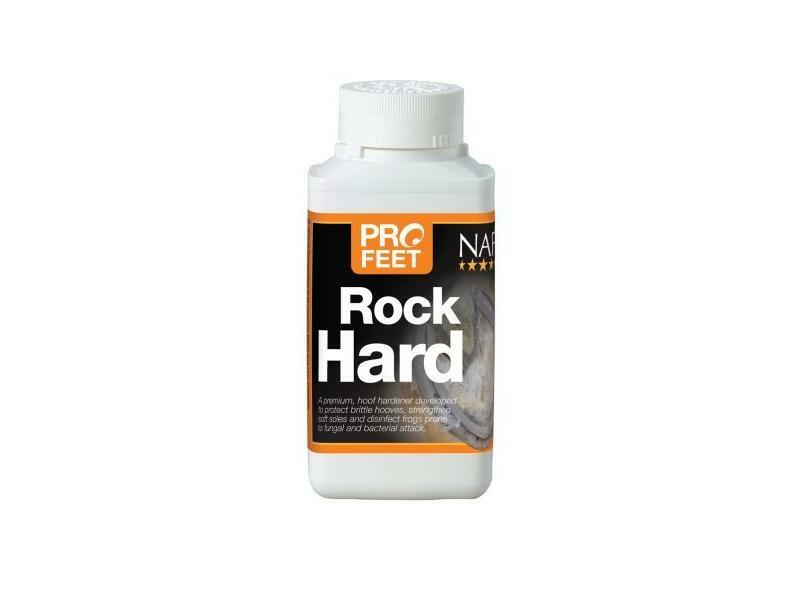 For maintenance of healthy hooves apply Rock Hard weekly. For animal use only. Replace lid after use. Store in a dry place. NAF recommend a small patch test is carried out prior to initial use. There are currently no questions for NAF PROFEET Rock Hard for Horses - be the first to ask one!